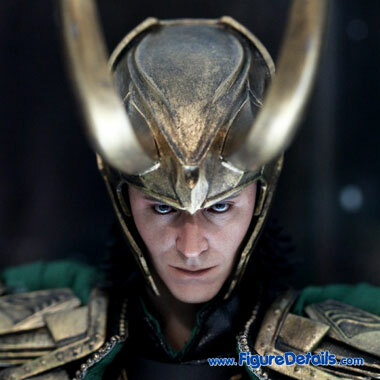 - Fully realized action figure likeness of Tom Hiddleston as Loki in The Avengers movie. - One long and one short scepter. 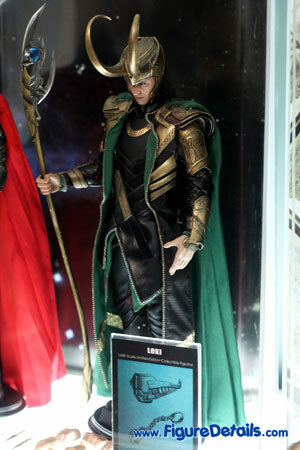 Here I show you the photos of Loki Limited Edition Action Figure that is now displaying in the Hot Toys store. 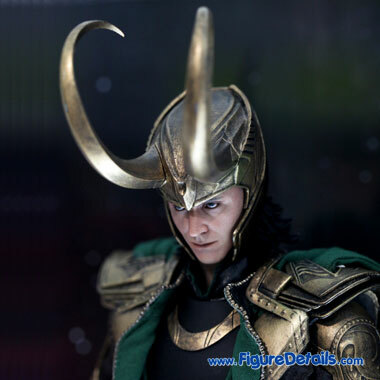 Loki - Tom Hiddleston - is one of major character in movie: The Avengers. 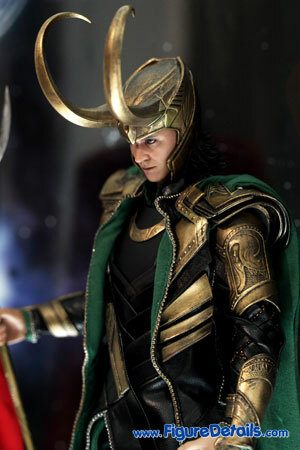 Although Loki is already appeared in movie Thor, this is the first Loki action figure from Hot Toys. 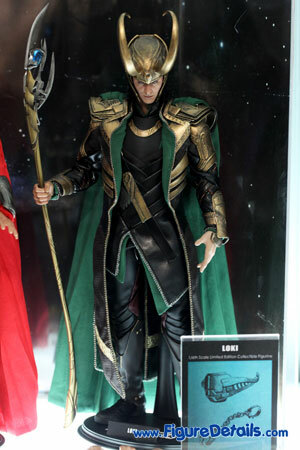 If you look at the Japan Hot Toys Catalog last year, there is another version of Loki based on movie Thor. As I know, that one has been canceled. 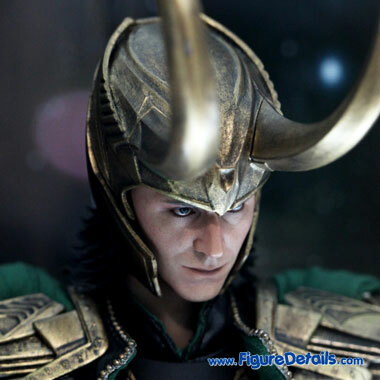 It is because Hot Toys wants to fully focus on Loki The Avengers version. 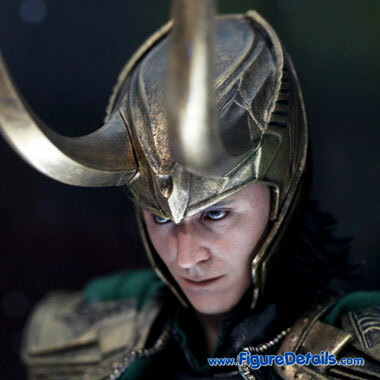 Loki looks much cooler in the Avengers movie. 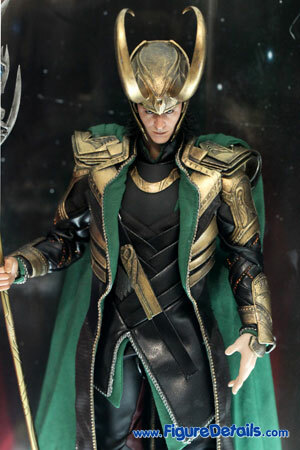 Also, this Loki action figure comes with a lot of weapons and accessories: helmet, and two scepters.